This is a foreign exchange guide to Myanmar, the Myanma Kyat currency plus MMK transfers and travel tips. Myanma Kyat exchange rates - latest & historic exchange rates. What is the Myanma Kyat currency code and symbol? The three letter currency code for the Myanma Kyat is MMK and the symbol is K.
Which countries use the Myanma Kyat? It is the domestic currency in Myanmar. The interactive chart below shows the USD to MMK exchange rate for the previous 3 months with rate alerts for days when the exchange rate moved up or down significantly or for 30 day highs and lows. 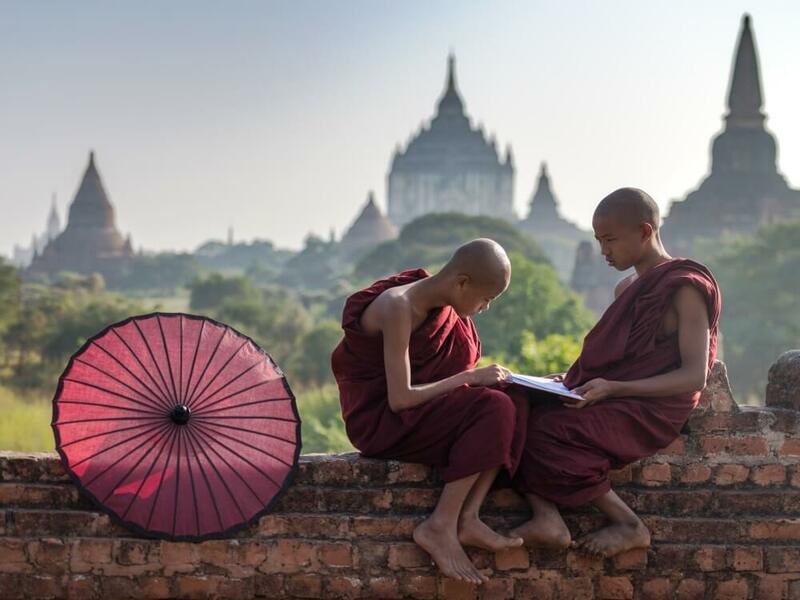 Myanmar retains the power to surprise and delight even the most jaded of travellers. Be dazzled by the 'winking wonder' of Shwedagon Paya. Contemplate the 4000 sacred stupas scattered across the plains of Bagan. Stare in disbelief at the Golden Rock at Mt Kyaiktiyo, teetering impossibly on the edge of a chasm. These are all important Buddhist sights in a country where pious monks are more revered than rock stars. Myanmar is a lot more expensive than many people anticipate so be sure to budget appropriately. Accommodation and travel in Myanmar is considerably more expensive that other South East Asian countries such as Thailand, Cambodia or Vietnam. The kyat (pronounced ‘chat’) is the official currency of Myanmar, abbreviated as ‘K‘ or 'MMK' and usually placed before the numerical value (i.e. K500). Kyat come in notes, no coins are used. There are now many International ATMs in towns, hotels, and at most airports that take UnionPay, Plus, Cirrus, MasterCard, and Visa Cards and issue Kyats. Do note however that there is a fixed charge of 5000 Kyats (plus your own credit card charge) which makes small withdrawals expensive. The US dollar, however, is used as an alternative currency, particularly for larger purchases: foreigners are sometimes expected to pay in dollars for hotels, high-end restaurants and flights (international credit cards can also be used for many of these purchases). Blemishes of any kind – creases, marks, folds and so on – may result in getting a far worse rate of exchange or the money may not be accepted at all. Smaller purchases, such as taxi rides, buses and cheaper to mid-range meals are quoted and are almost always paid for in kyat. How to travel in Myanmar? Getting around Myanmar is never less than fascinating, with plenty of opportunities to mix with the locals and take in the scenery – but land transport is, in general, slow and unreliable; probably more so than most people would be used to. Allow for a time buffer between locations, especially if you have a hard travel date such as booked flights. Myanmar’s bus and railway networks allow travellers access to most popular destinations, and boats (principally on the Irrawaddy River that runs north-south through Myanmar) can be a interesting way to get around. If you are on a relatively tight schedule, flying is usually the best option – and for some destinations in border areas, it’s the only option. Between the main destinations of Yangon (Rangoon), Mandalay, Heho (for Inle Lake), Nyaung U (for Bagan) and Thandwe (for Ngapali Beach), you'll find frequent daily connections. Other airports have only one flight a day or, in the most remote places, just a couple of flights a week. The rivers are the lifeblood of the country, endlessly transporting goods and people. Boats are the preferred way to travel, faster and more reliable than train and bus. 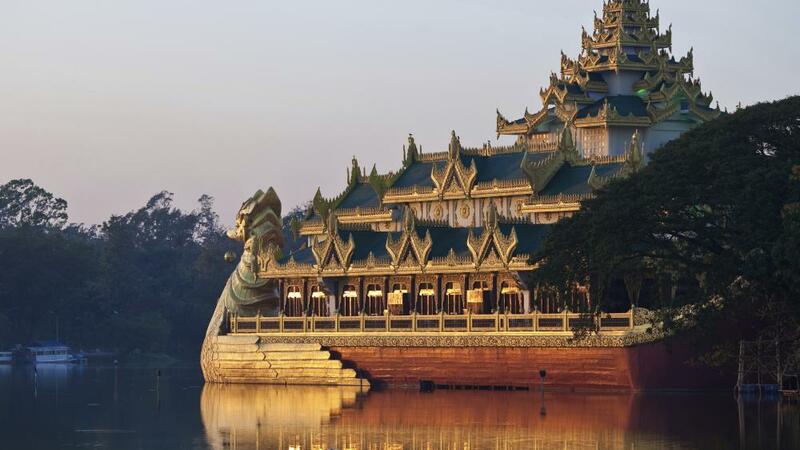 A great variety of boats – from creaky old government-run ferries to luxurious private cruise ships – ply Myanmar's waterways. In addition to the rivers, it's possible to travel along the Bay of Bengal between Sittwe and Taunggok (north of Ngapali Beach). Inland Water Transport boats offer basic levels of comfort and are often ramshackle and crowded, but they provide remarkable glimpses into local river life. Some of the passengers on the long-distance ferries are traders who make stops along the way to pick up or deliver goods. Several luxury boats travel the upper and lower reaches of the Ayeyarwady (Irrawaddy) River as well as the Chindwin River. Rates usually include all meals and excursions from the boats. The starting point for most trips is either Bagan or Mandalay, but occasionally itineraries originate in Yangon. Travel via the waterways is a popular way to get around Myanmar. In 2015, Myanmar voted in its first democratically elected government in more than half a century. Sanctions have been dropped and Asian investors especially are coming to do business. Modern travel conveniences, such as mobile-phone coverage and internet access, are now common. But the economic and social changes Myanmar is undergoing are largely confined to the big cities and towns, and large swaths of the country remain off limits due to ongoing ethnic conflict. Yangon’s Shwedagon Paya, Mandalay’s Mahamuni Paya and Bagan’s plain of temples shouldn’t be missed, but there are also many other lesser known Buddhist religious sites that will impress you with their beauty and spiritual power. Gone are the days of having to travel to a Myanmar embassy to obtain a visa to enter the country. Passport holders from 100 countries are now entitled to apply for an e-visa meaning you can secure a visa in advance of your travels. It should take only a few days from applying to receiving our visa. It is valid for a stay of up to 28 days and costs US $50. Myanmar internet is a mix of slow and unavailable. Do your research in advance or pack a guide book and don’t expect to Skype home very often, it’s barely possible to get a messenger service to work at times! Save money and time by Ordering your Myanma Kyat online from Travelex, you get better rates and can pick up the MMK cash locally or even on travel day at the airport. For card purchases if offered a choice of currencies always select to Pay in Myanma Kyat otherwise you may get much worst exchange rates. Compare MMK travel cash rates - probably why you are here! When searching around for information on how to get a good exchange rate when sending money to Myanmar you need to start with finding out the latest Myanma Kyat foreign-transfer exchange rate. Once your funds are received by the provider the converted MMK amount will be transfered to the recipient account you specify in Myanmar. Use our Send to MMK calculator to compare the exchange rates of FX specialist providers rates versus your bank's standard rates you can hopefully save around 5% and maybe more - end result is more Myanma Kyat deposited into the recipient bank account and less margins and fees kept by the banks!